RN Advice: Thyroid Disease: Another Autoimmune Disease? This past month I participated in The Thyroid Summit listening to many great speakers such as Dr. Tom O’Bryan, Magdalena Wszelaki, certified nutritional coach, and Dr. Jill Carnahan, to name a few. Even as a nurse, I found this Summit absolutely eye opening. The thyroid is considered the master gland and every other cell depends on the thyroid hormone to function optimally. Thyroid disease is categorizes either with too little hormone (Hypothyroidism) or too much (Hyperthyroidism) hormone production. Below are symptoms one may experience with thyroid disease. Hashimoto thyroiditis is the most common form of thyroid disease with symptoms of hypothyroidism with bouts of hyperthyroidism. It is the first identified autoimmune disease. 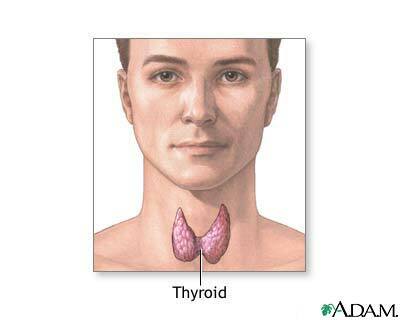 This means that the immune system mistakenly attacks and destroys the healthy thyroid. Why does this happen? Just like other diseases – the area of the weakest link (family history, injury, previous disease) such as the thyroid, joints, migraines, heart, etc will then become affected and attacked leading to disease. Research has also linked ALL autoimmune diseases to leaky gut syndrome which we will cover more in-depth next month. The good news is that because this is an autoimmune disease, we are able to manage these thyroid disease symptoms before having to be put on lifetime medication. Since leaky gut is caused by food sensitivities such as gluten, dairy, soy, sugar and corn, chronic alcohol intake, pharmaceuticals, infections and decreased stomach acid to name a few this gives us the ability to manage this syndrome. By removing these gut irritants and adding in healthy food choices and probiotics we can balance these important hormones and heal the body.